Pharmaceutical Regulatory Book from C.H.I.P.S. Discover the latest ICH news from international experts in the pharmaceutical industry, academia, and regulatory bodies. The recent International Conference on Harmonisation (ICH) revisions of regulatory requirements for quality, nonclinical, and clinical pharmaceutical product registration are the focus of this timely update. 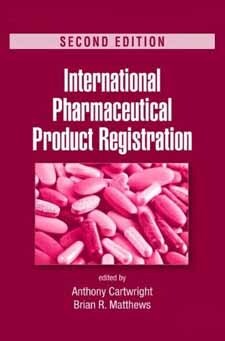 International Pharmaceutical Product Registration includes the major headings in the modular structure of the Common Technical Document (CTD), which is now the agreed format for product information submission. The format, specification, and technical requirements of the e-CTD, the electronic version of CTD, are also discussed.